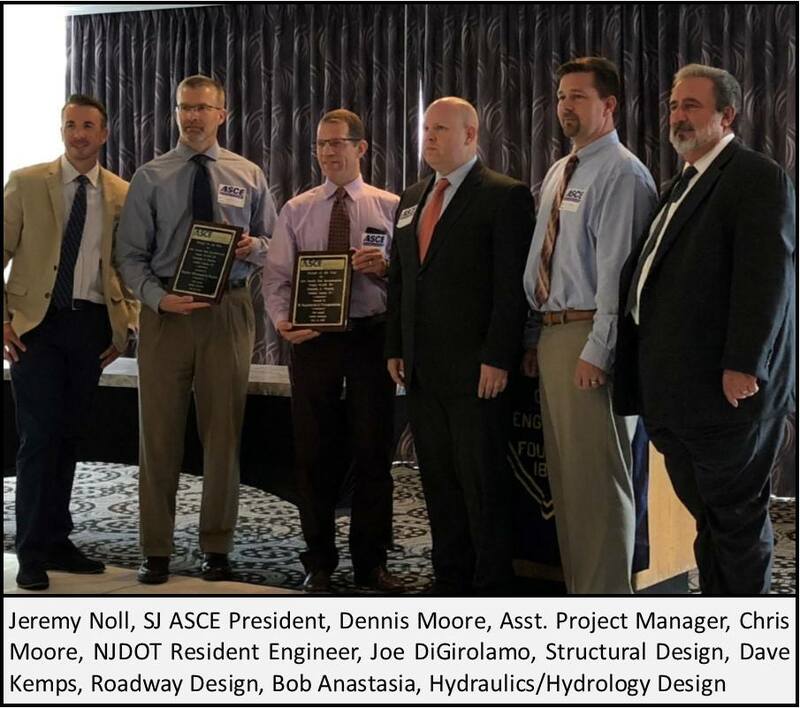 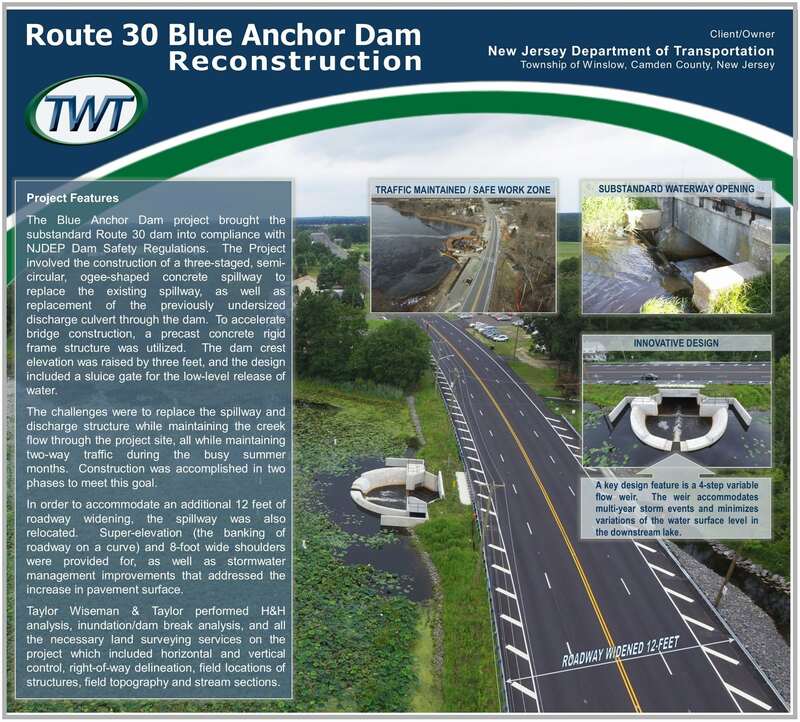 The South Jersey Branch of The American Society of Civil Engineers awarded the 2018 South Jersey Outstanding Civil Engineering Project to the NJ Department of Transportation’s Route 30 Blue Anchor Dam Project. 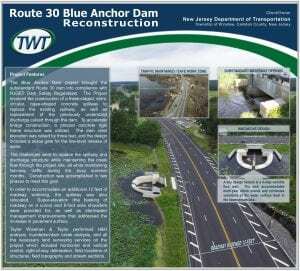 Taylor Wiseman & Taylor was the design firm for the project. The awards presentation was held on June 22, 2018 at Ramblewood Country Club and Seven Tap-Tavern.